7 Nights at 4* Royal Park Albatros, Golf del Sur, S/C. 4 rounds of golf at: Golf del Sur x2 & Amarilla x2. Shared buggies and lunch inc at all courses. Car Hire x 7 days. Based on 2 persons sharing a 1 bed apartment. 7 Nights at 4* Royal Park Albatros, Golf del Sur, S/C. 4 rounds of golf at: Golf del Sur x2 & Amarilla x2. Shared buggies and lunch inc at all courses. Car Hire x 7 days. Based on 2 persons sharing a 1 bed apartment. The Canary Island group has a fantastic climate and enjoys a constant temperature throughout the year. The Canary Islands are famous for the remarkable beaches of fine and golden sand and the prolific array of accommodation options spread across the islands.The Canaries group consists of 7 large islands; Gran Canaria, Fuerteventura, Lanzarote, Tenerife, La Palma, Gomera and Hierro. There are also a few smaller islands in the group; Alegranza, Graciosa, Montaña Clara, Roque del Este, Roque del Oeste and Lobos. Each island enjoys a varied landscape and the country has been known to the modern world from as far back as the Greek and Roman empires. Located off the Western coast of the African mainland, the Canary Islands have been a part of the Spanish kingdom since 1496. More recently, the Canary Islands have become a popular destination for European and American golfers due to the increase in the number of top-quality golf courses available in the region. CostaLessGolf.com are providing cheap golf holidays in the Canary Islands as we do in other areas such as the Balearic Islands, Costa del Sol, Costa Blanca, Costa Brava, Costa de la Luz, and many other holiday destinations in Spain, by combining the best quality green fees with affordable accommodation and car hire, to create the ultimate discount golf holiday in Canary Islands. If you would like to tee off in a golf course not listed on our site, or would like us to source accommodation for your holiday or break in an area not listed in our accommodation section, please use our contact details to get in touch and discuss your requirements. We can provide golf holidays in the Canary Islands for small and large groups and have many successful clients who re-visit us year after year for their golfing needs in the Canary Islands. The largest and most populous of the Canary Islands, Tenerife is also the tourism and economic centre of the archipelago, with about 5 million holiday makers every year passing through its two airports, which connect Tenerife to the other Canary Islands and cities throughout Europe. The capital city, Santa Cruz de Tenerife, hosts one of the world’s largest street carnivals, which has been declared a Festival of International Tourist Interest, and goes on for ten days. The island lays claim to a couple of World Heritage Sites in the second city of San Cristobal de la Laguna and El Teide, the highest mountain in Spain, as well as a Biosphere Reserve. The island is dominated by the now dormant volcano Mount Teide, which at over 12,000ft is the highest mountain in Spain and the third largest volcano in the world. 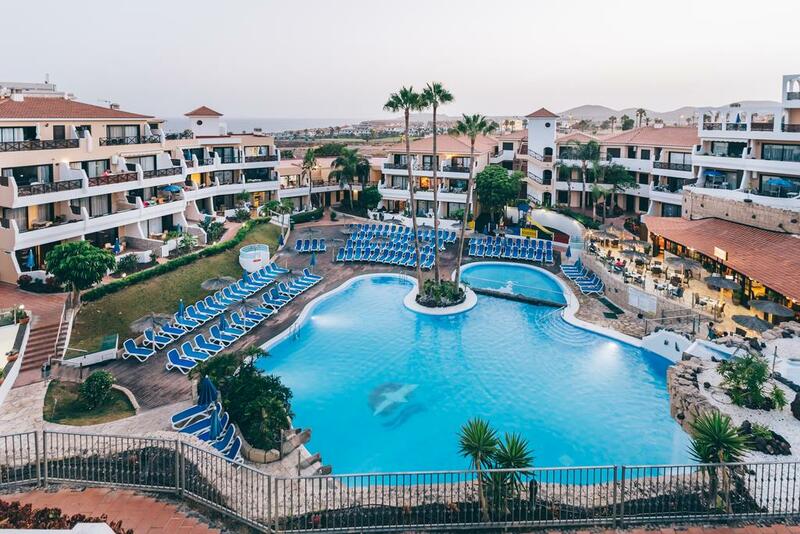 To the south, the ever popular holiday resorts of Playa de Las Americas and Los Cristianos are basked in year round sunshine, whilst the north of the island is a lush green tropical paradise of banana plantations, palm trees and flowers. Tenerife is truly a unique island of startling contrasts. Although Tenerife lies on a similar latitude to the Sahara Desert, the unique combination of both Gulf and Trade Winds that sweeps the island moderates the climate, with average daily temperatures varying only slightly throughout the year, making Tenerife an ideal all year round destination for golf holidays and breaks. During the winter months however, it is possible to enjoy the warm sunshine on the coast and experience snow within a few short miles up on Mount Teide. Tenerife is fast becoming a favourite destination for golf holidays and breaks in Spain, with several golf courses currently open and more in the pipeline. Real Club de Golf de Tenerife is the second oldest golf club in Spain and was founded in 1932. The golf course is 600 metres above sea level with Mount Teide as its backdrop and is surrounded by mature trees and some breathtaking views. Buenavista Golf Club, on the north-western corner of the island, is surrounded by the Teno mountain range and the Atlantic Ocean. Five holes of this stunning golf course designed by Seve Ballesteros are close to the rocky coastline, creating a great backdrop to your game and giving the impression you are teeing off into the ocean. You’d be hard pushed to beat the views on the 15th and the 17th anywhere in the world.